The Padres are in the midst of a 10 game losing streak. I don’t think anyone expected this, but it’s baseball. Anything can happen. You have good games and bad ones. Good streaks and bad streaks. It’s just part of the game. Absolutely nothing is going right for the Padres right now. Nothing is going their way, their D is mediocre, and they’re slumping with the bats. They are pressing big time. The good thing is, even with this slide, they still own a 1 game lead over the Giants in the West. But, of course, the Padres need to start winning. And i’m sure everyone knows that, it’s no secret. Slumps are strange things. You never know when they might strike. Just when you think you’re team will break out of one, something goes wrong. When you never think they’re going to get out of it, something goes right and you’re back on track. It’s weird, it really is. 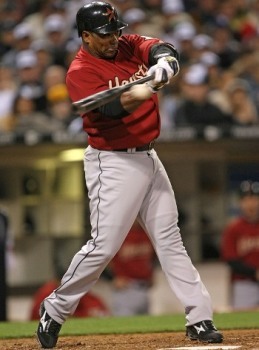 But then again, baseball is a beautiful, mystified game. 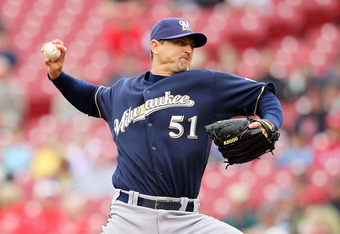 Ryan Ludwick has been struggling as a Padre2. , so putting him in front of AGon will give him better pitches to hit. Miguel Tejada has been a good addition and has been hitting well, and putting him behind Gonzo is a good idea in my opinion. This team is pressing, there is no doubt about it. They are playing tight, nervous baseball, a far cry from the first half of 2010 where they were playing good, aggressive ball. Adrian Gonzalez said “I see guys looking at the scoreboard to see if the Giants are losing.” That’s a no-no. Forget about the Giants. Forget you are even in a pennant race. Go out, and have fun. Play good, aggressive, relentless ball. That’s what got you here in the first place. This team has been swinging at a lot of 1st pitches, and has not worked the count. They need to do the opposite. Be patient. Work the count. Draw some walks. Get into the opponents’ bullpen early. It’s easier said, or in this case, typed, than done. This is basically the first test the Padres have had to go through this year. They need to work through this. Put together some good AB’s. Catch the ball. Pitch. Do that, and the results will come. 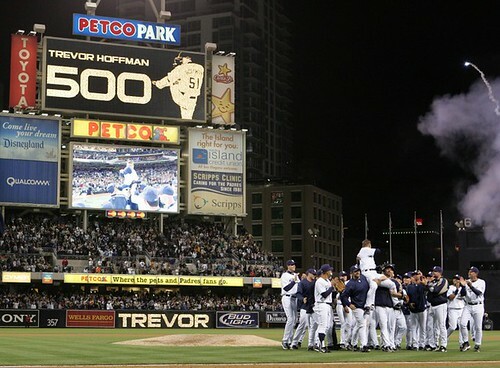 Today the Padres start a 3 game series vs. the Dodgers at PETCO Park. Now, Mat Latos is sick with the flu, so I am not sure if he will make his scheduled start today. The Dodgers will send Vicente Padilla to the mound. The Padres wrapped up a 4 game series vs. the Dodgers in LA on Thursday, hoping to snap their brief 2 game losing streak. They did just that, shutting out the Dodgers 5-0 to take a 2 game lead over the Giants, who lost to the Braves, in the NL West. A key part to this Padres ballclub is resilience. They do not get upset if they lose a couple games in a row. These last 3 games were a prime example of it. After being on the wrong end of masterful pitching performances by Ted Lilly and Vicente Padilla, in which the Padres only scored 1 run in 18 innings. The Padres had to face the Dodgers right-hander Chad Billingsley on Thursday. They needed a win. They needed runs. And in the 4th, they finally broke through, scoring 3 runs highlighted by RBI singles by Yorvit Torrealba and Chase Headley. The pitching did the rest. Kevin Correia, Joe Thatcher, Esterno Frieri, Luke Gregerson, and Heath Bell pitched scoreless baseball to give the Padres a 5-0 win. The Padres scored their last 2 runs on possibly the wackiest inside the park home run ever. Tony Gwynn Jr led off the 9th with a walk. In stepped Chris Denorfia. He took 3 pitches, 2 balls and 1 strike was the count. On the 2-1 pitch, Tony Gwynn Jr was attempting a steal. Chris Denorfia swung away and chopped a ball over Casey Blake at 3rd base. The was going down the line, and Scott Podsednik, the Dodgers left fielder, misplayed the ball, as it went all the way to the wall. Denorfia, hustling, made it all away around the bases for a ground ball chopper inside the park home run. Just when you think you’ve seen it all, something you’ve never seen happens. I love that about baseball. Getting back to the resilience factor, let me give you some stats. Following a shutout loss, the Padres are 6-0. 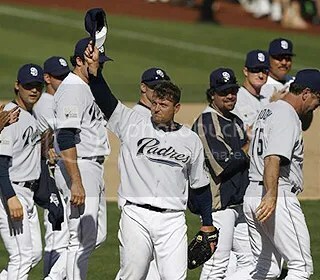 Following 2 straight losses, the Padres are 12-1. They never give up, and I love that about this team. That is a big part of why they are in first place, 2 games over the Giants, in the NL West. 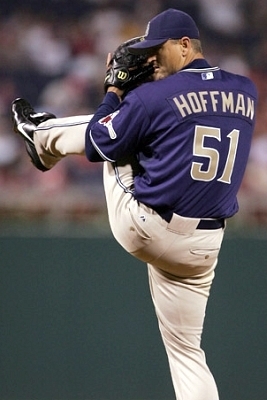 The Padres head to Arizona where they take on the Diamondbacks for 3 games starting today. 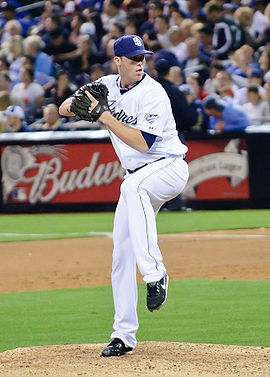 First pitch today is 6:40 PM PT, Jon Garland pitches for the Padres vs. Daniel Hudson of the DBacks.